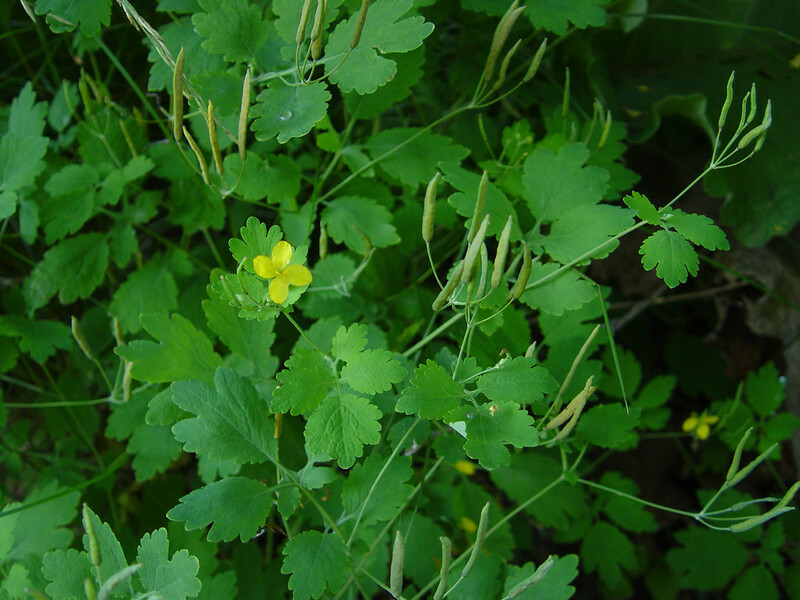 Chelidonium majus plant. commons.wikimedia.org (Accessed 1/2018). 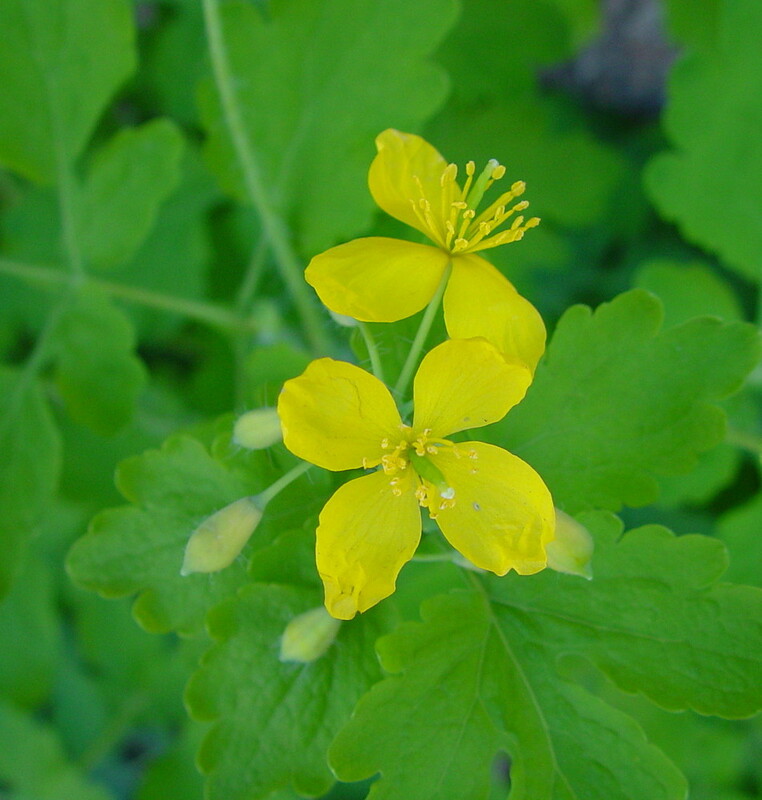 Chelidonium majus sap. By Arthur Haines. Copyright © 2018. New England Wild Flower Society. gobotany.newenglandwild.org (Accessed 1/2018). Chelidonium majus is a biennial herb to 80 cm tall, branched, pale, somewhat blue-green, very hairy, sap bright orange, sticky, very toxic if ingested, contains a number of alkaloids common to Papaveraceae including chelidonine, sanguinarine, and berberine (Kingsbury 1964). Chelidonium majus basal rosette. U. Georgia Center for Invasive Species and Ecosystem Health. 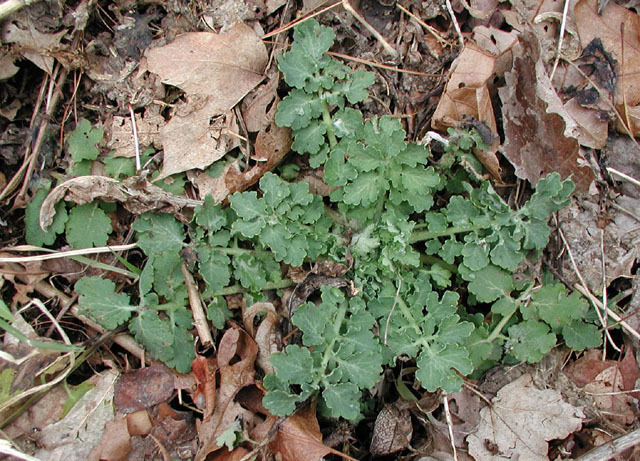 IPANE Invasive Plant Atlas of New England. eddmaps.org (Accessed 1/2018). Leaves alternate, deeply pinnately lobed to compound, hairy below, blunt toothed, from an overwintering rosette, new leaves produced after leaf drop in autumn (Brundrett and Kendrick 1988). Chelidonium majus flowers. By Arthur Haines. Copyright © 2018. New England Wild Flower Society. gobotany.newenglandwild.org (Accessed 1/2018). Flowers yellow, ca. 2 cm wide, 4 petals. Fruit green, thin, cylindrical pods to 5 cm long, seeds with arils (possibly ant dispersed). 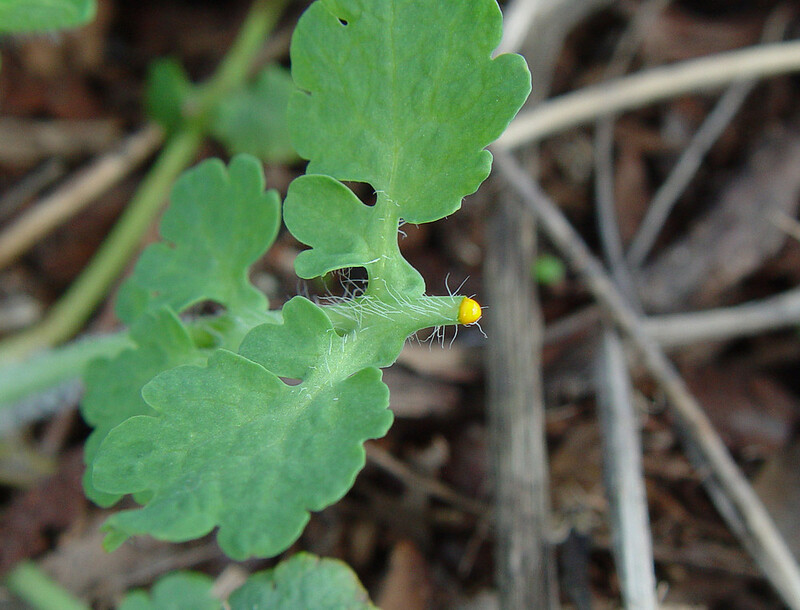 Chelidonium majus fruit. By Donald Cameron. Copyright © 2018 Donald Cameron. New England Wild Flower Society. gobotany.newenglandwild.org (Accessed 1/2018). 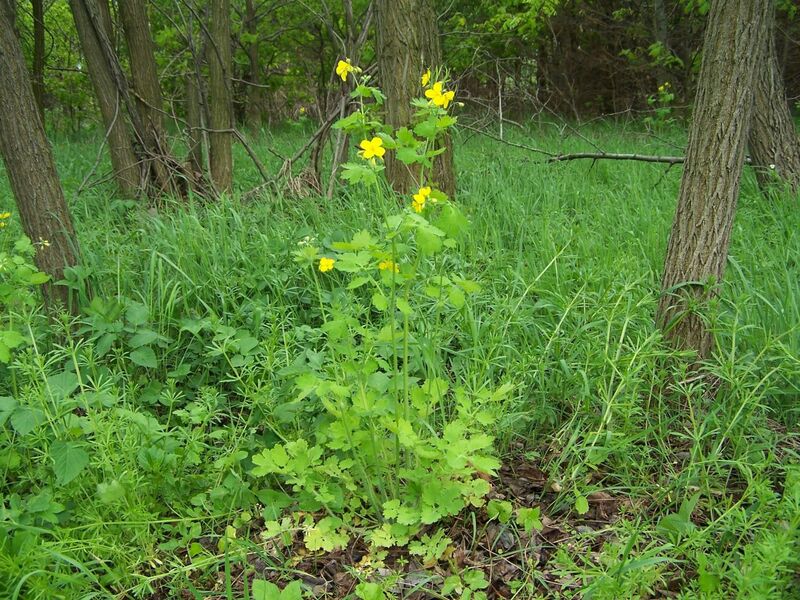 Habitat: Escaped from cultivation along edges, in semi-shade.